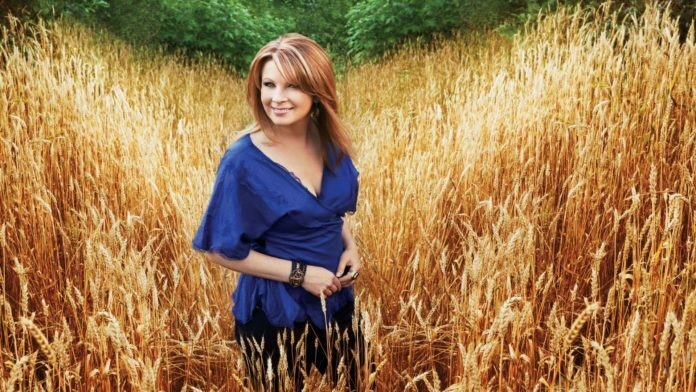 Known for her emotional ballads, Patty Loveless is one of the most celebrated female country artists in the world. Having developed an interest for music as a young girl, Loveless eventually took to the stage for the first time during the late 1960’s after being inspired by her older sister. Later relocating to Nashville, she spent much of her teen years performing and singing in various venues in the city. Wanting to take her love for music a step further, she soon recorded a number of demo tapes and distributed to several recording labels with the help of brother, Roger; following a series of rejections, Loveless was ultimately signed to MCA Nashville in the mid 1980’s. In 1986, the aspiring musician released her debut self-titled album, Patty Loveless. Since then, her discography has extended to include over twenty full-length albums and well over forty singles! A renowned music artist since her rise to fame during the late 80’s, Loveless has achieved half a dozen of RIAA certified albums throughout her career and has also had five of her singles go on to reach number one in the Hot Country Songs Chart. A well respected singer, she has garnered many industry awards over the years for her contributions to music including two Academy of Country Music Awards, three Country Music Association Awards and two Grammy Awards. A member of the Grand Ole Opry since 1988, Loveless was also inducted into the Georgia Music Hall of Fame in 2005 and into the Kentucky Music Hall of Fame in her home state in 2011. Recognized for her musical talents, Loveless has made countless appearances onto various television series throughout the years. Some of her early appearances as a celebrity guest on the small screen include The Pat Sajak Show (1989), The Tonight Show Starring Johnny Carson (1990), Hot Country Nights (1992) and Att-Star Country Fest ’96 (1996). More recently in to the 2000’s, she has also been invited to multiple American talk shows as herself such as The Tonight Show with Jay Leno (2000), Late Night with Conan O’Brien (2009), Late Show with David Letterman (2010), to name a few. On top of those, she has also starred in a handful of documentary series including Intimate Portrait (2000), Austin City Limits (2001), CMT: 40 Greatest Women of Country Music (2002) and Biography (2006). So what has this talented songster been up to in the 2010’s? Is she still recording country tunes? 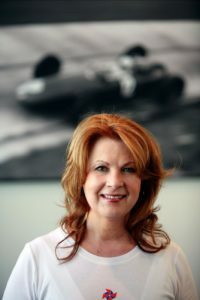 What happened to Patty Loveless? Where is she now in 2018? 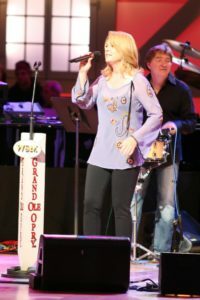 Born on January 4, 1957 in Pikeville, Kentucky, Patty Loveless is the daughter of John and Naomie Ramey; she is the sixth oldest out of seven siblings. Raised in Elkhorn City where her parents worked in the coal mines, Loveless developed an interest for country music at a young age, no doubt in part due to her father’s musical influences at the time. 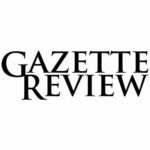 When she was twelve years old, she moved to the city of Louisville with her family as her father had been suffering from a lung condition from working so many years at the mines; she later attended Fairdale High School in the new city. Growing up, a couple of her siblings, Roger and Dottie had always spent much of their time singing and performing; the pair eventually founded the group “The Swinging Rameys” and performed frequently at various local clubs in Kentucky. Although music had always been a large part of Loveless’ life, it wasn’t until she saw her older sister’s performance one night in Fort Knox that she was inspired to do the sameーto become a musical performer. After Dottie left the singing group following her marriage, Roger persuaded Loveless to take her part; she later went on to perform publicly for the first time at a country jamboree event in Hodgenville. Following the experience, she continued to sing alongside her brother in various clubs for the next few years. In the early 1970’s, Loveless went to Nashville, Tennessee with her older brother Roger, where she eventually found herself performing onstage with a number of country artists such as Connie Smith, Bill Anderson and the Wilburn Brothers, after fellow performer Jean Shepard was unable to make it to the show due to a flood. Moved by her singing, the Wilburn Brothers ultimately invited Loveless to join their group as a professional singer. After many years of performances together however, she would leave the group after sharing a secret romance with the band’s eventual new drummer, Terry Lovelace; the two later tied the knot together in 1976. After a decade of marriage, Loveless was single once again after an amicable divorce; she reached out to her brother and soon made her way back to the music city of Nashville. Working once again to pursue a music career, the aspiring singer recorded several demo tapes and with the help of her brother, sent them along to various recording labels in the city. Although she was met with a wall of rejection despite her best efforts, Loveless ultimately landed a deal with MCA Nashville after her brother managed to persuade Tony Brown, the A&R head to listen to her sister’s music. Loveless released her debut eponymous album, Patty Loveless in October 1986. Her first professional album under MCA, its track list showcased ten tracks including Lonely Days Lonely Nights, Blue Is Not a Word, Slowly Healing Heart, amongst others. Although the album did not become a huge sensation upon its release, it did chart at number thirty-five on the Top Country Albums Chartーwhich was good enough for MCA to offer the singer a long-term recording contract, as the one she’d signed previously was only on a short-term basis. Following another album release in 1988, Loveless released her third entitled, Honky Tonk Angel in October 1988. Her best-selling album at the time, it was positively received by critics shortly after its release and didn’t take long to rank in at number seven on the US Top Country Chart; in Canada, it was also a success where it secured the number ninth position on the RPM Country Albums Chart. Highly considered to be her breakthrough album, Honky Tonk later spawned five singles, two of which would go on to rank number one (e.g. Timber I’m Falling in Love and Chains). As of 1997, the album has been certified Platinum by the RIAA, after having sold over one million copies in the United States. A few years after her debut in the music industry, the country singer released her next big album, Only What I Feel in April 1993. Her sixth studio album, it peaked at number nine on the Top Country Chart and at number sixty-three on the Billboard 200. Praised all around upon its release, Only What I Feel was also her first record with Epic Records, as she’d left MCA after the release of her previous album. Featuring ten different country tracks, the album soon produced four singles: Blame It On Your Heart, You Will, Nothin’ But the Wheel and How Can I Help You Say Goodbye; three of the four would ultimately go on to make it amongst the top ten in the Hot Singles Chart. Carrying on with her newly found success, Loveless released her next Platinum certified album, When Fallen Angels Fly in August 1994. Met with glowing reviews, it was hailed for its feisty hits by critics after being made available in stores; quickly a bestseller, When Fallen Angels Fly won the Country Music Association’s Album of the Year Award in 1995ーmaking Loveless the third female in history to have received the award. Having sold over one million copies within the US, the album was received its RIAA accreditation in April 1996; it lead to the release of four singles later that year. After two more album releases during the late 1990’s, she released her first full-length album of the new millennium in August 2000. Entitled, Strong Heart, the album featured ten songs and ranked in at number thirteen on the Top Country Chart and at number 126 on the Billboard 200; it was also warmly received in Canada where it peaked at number twenty four. Given a close to perfect rating by AllMusic, Strong Heart spawned three singlesーThe Last Thing On My Mind, That’s the Kind of Mood I’m in and Strong Heart. Loveless released her eleventh studio album, Mountain Soul in June 2001. Recorded between a period of three months, it peaked at number nineteen on the Top Country Albums Chart and eventually remained on the charts for a total of eighty-seven weeks. Ranked by Rhapsody to be one of “Country’s Best Albums of the Decade”, Mountain Soul consisted of fourteen tracks, three of which were duets with Travis Tritt and Jon Randall respectively. In 2010, the album was also listed as the “10th Best Country Album” by Country Universe. To present, Loveless has released four more albums, the latest being that of Mountain Soul II which was released back in September 2009. Just a few days ago, the country star performed at the 50th anniversary celebration event for the Country Music Hall of Fame and Museum. Other big name celebrities who were also present include Vince Gill and Charlie Worsham, who also headlined the Forever Country Live, alongside Loveless. Kicked off on September 25, 2016, the free celebratory event took place at the Wall of Fame Park and also featured various activities such as a petting zoo. However not all of the singer’s performances are celebratory in nature; earlier in June, Loveless performed on stage alongside Ricky Skaggs and Vince Gill to pay tribute at Ralph Stanley’s funeral service. The legendary bluegrass artist had tragically passed away on June 23, 2016 due to skin cancer. Tremendously influenced by Stanley’s works, the trio sang a rendition of Go Rest High On That Mountain, a touching song written by Gill in 1989. When Loveless was interviewed following the event, she stated that he’d taught her how to sing; that his music had made a tremendous impact on the artist. In terms of more positive news, Loveless has just celebrated the 30th anniversary of her debut albumーwhich was originally released on October 1, 1986. Throughout her multi-decade long career, it’s no doubt that she has been able to make a name for herself in the entertainment industry, judging from all her achievementsーjust take a look at her long list of awards and chart-topping records! Do you want to stay connected with the country star? You’ll be glad to know that you can do so easily be following Patty Loveless on social mediaー you can find her on Twitter under the handle @theploveless. Or if you would prefer, you can also check out her official Facebook page and website for some of her latest, ongoing news! Loveless stole my heart on a very intellectual and heartfelt level and to this day still.